I finally managed to go to the zoo again, unfortunately I was too busy in the last months to visit one... But now I found time to go and see all the fantastic animals again! 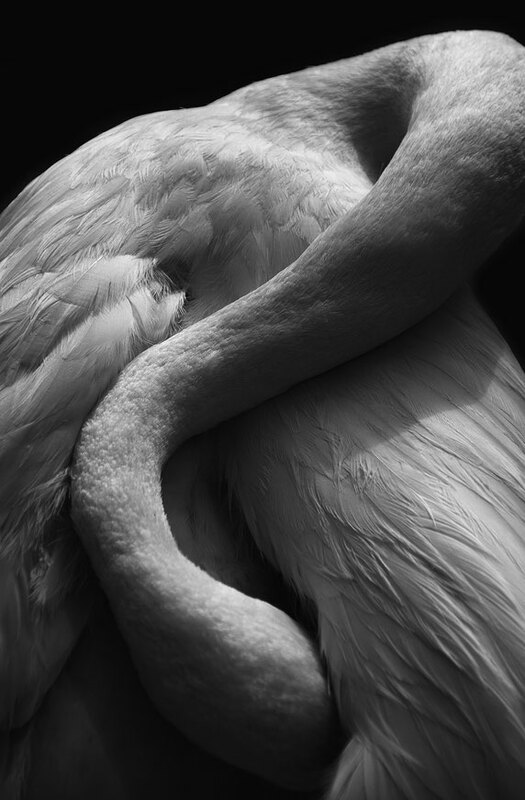 I totally fell in love with the flamingos and I shot a couple of pictures that could be edited into fine art b&w photos. 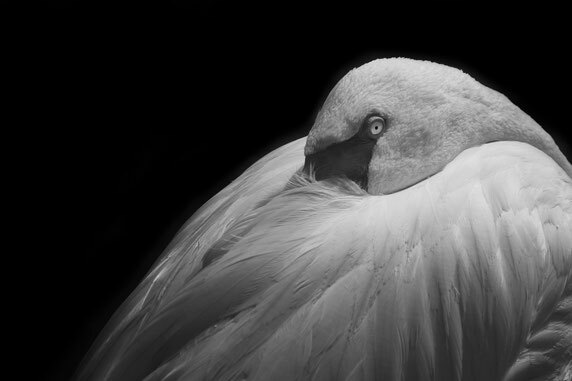 I love the contrast between the white feathers and the black background... What do you think?